Before I lived by the canal this past year, I never even KNEW that you could rent a boat out, let alone rent one without having a licence! Thanks to Marin d’Eau Douce you can rent a boat and drive up and down the canal! I recently did this with a group of friends thanks to the fantastic organisation skills of my friend Molly. Molly is a brilliant chef and fellow blogger over on Toffee Bits and Chocolate Chips. She also makes the best brownies I’ve ever tasted in my life but I’ll tell you more about that later! L’Ace, their first size, can accommodate up to 5 people and goes a maximum of 5 mph! Le Scoop, their second size, can accommodate up to 7 people and has a convivial space at the front of the boat with a removable table if you want to have a picnic or have aperitif. It also goes a speedy 9 mph! 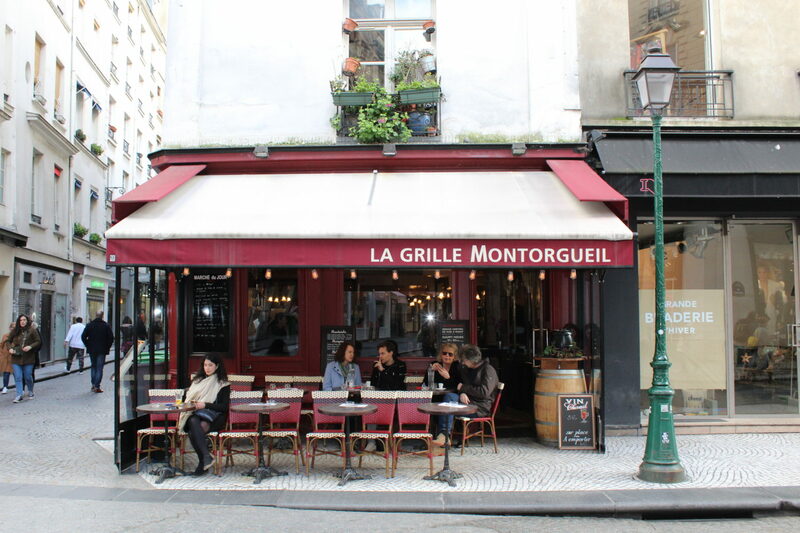 Le Most, their largest size, can accommodate up to 11 people and has plenty of space to sit, eat and drink! It also goes 9 mph and is as easy to drive as the Scoop and the Ace, despite its larger size. A view of Le Pavillon des Canaux from the boat! We chose the largest boat, “Le Most” for our trip along the canal and it was not only spacious but also comfortable, perfect for a happy hour on the water! We had the boat for 2 hours (7-9pm) which costs 130 euros. We added a table (an extra €10) so for 10 of us it was only 14 euros each. A real bargain for a fun, unique experience! You can also add other options to your boat including a game of petanque or mölkky, a bottle of champagne, an aperitif basket or a bottle or rosé! We added the table to our boat so we could have a real picnic and of course drink some aperitifs! As I said, my friend Molly also made her delicious brownies which are absolutely to-die-for. You can find the recipe here! The company can even recommend itineraries for you to do if you want to see something specific during your time on the boat! Depending on how long you have, the company will recommend where you should visit and how far you can travel in the time you have. We had two hours so we made it all the way to the Centre national de la danse! It was amazing to see a new part of the city. The company also rents electric boats for children which are just the cutest things! They look like normal sized boats but they are mini versions! There is even a mini cruise ship (far left). Whatever your age, you can have fun with Marin d’eau douce! Marin d’eau douce can be found on Facebook, Twitter and even Instagram. They also have a handy FAQ page on their website for any questions you may have. I had a fantastic experience with the company and would highly recommend doing a boat trip with them. I’ve been here for seven years and the boat trip was by far one of the coolest things I’ve done in Paris!